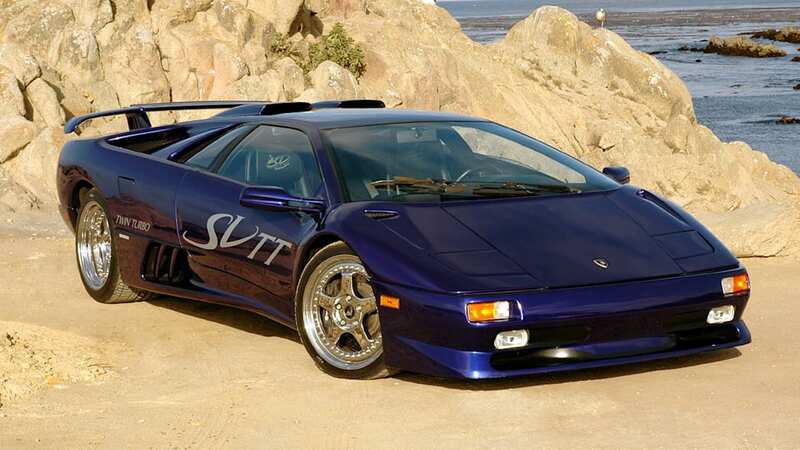 The 1990s was an amazing time of progress for supercars. 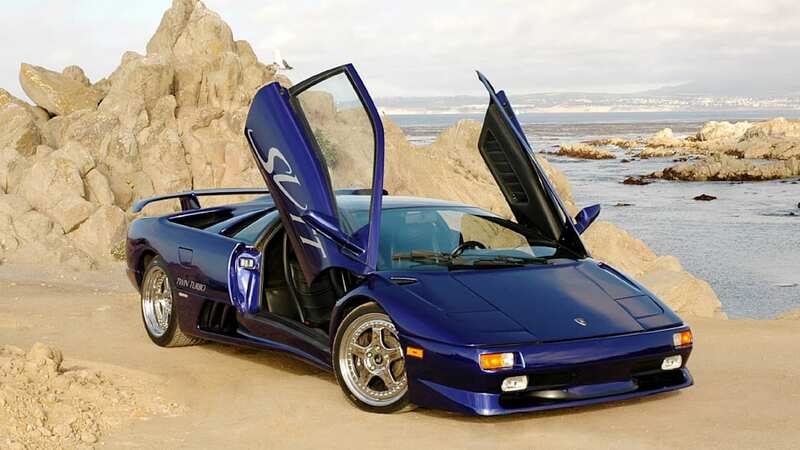 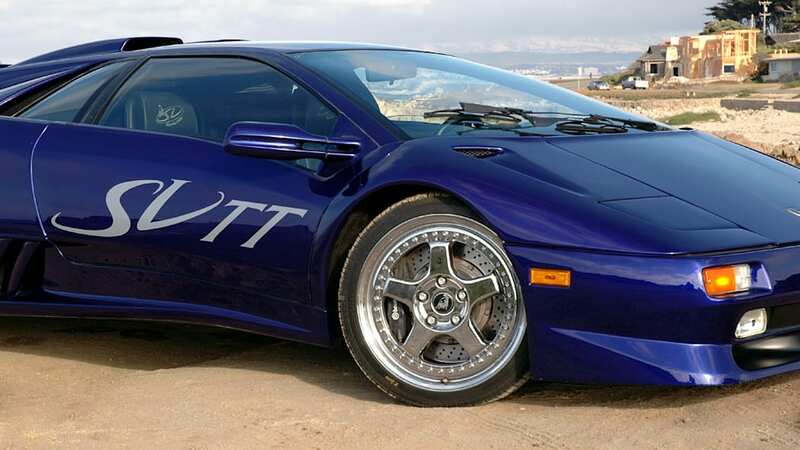 The first part of the decade saw the introduction of the Jaguar XJ220, Bugatti EB110, McLaren F1, and, of course, the Lamborghini Diablo. 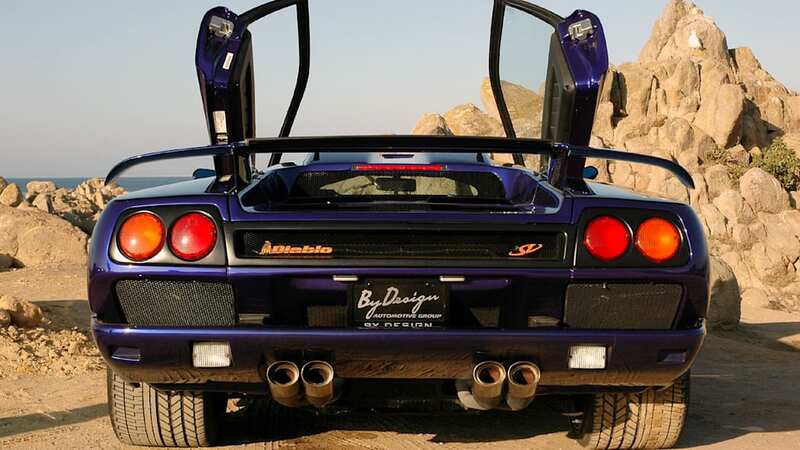 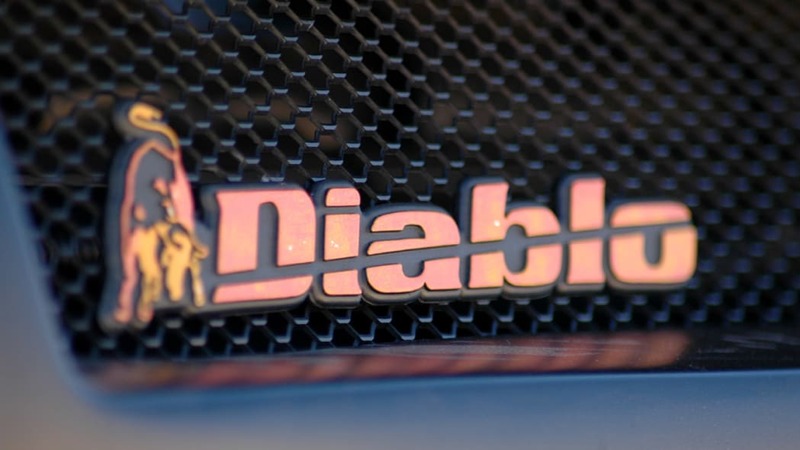 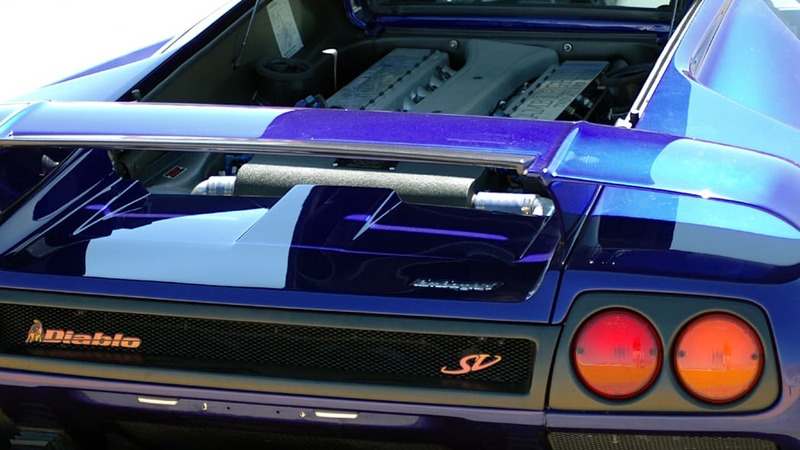 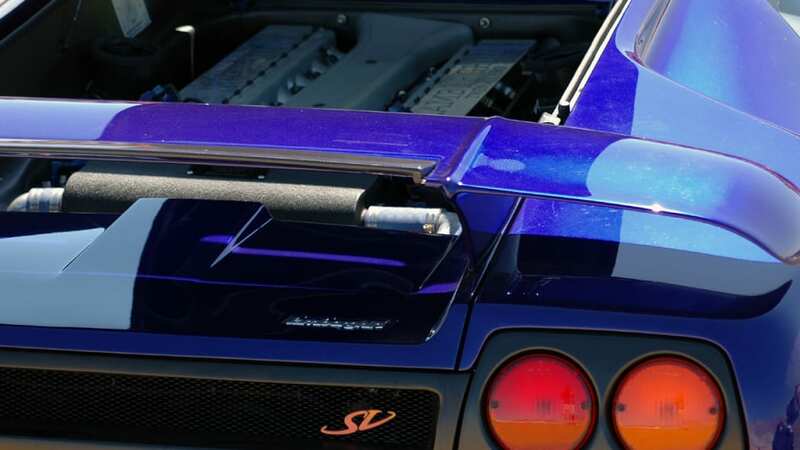 The successor to the venerable Countach, the Diablo was equipped with a 5.7L V12 producing 492 horsepower and 428 lb-ft torque that seemed wretchedly excessive at the time, although somewhat tame by today's supercar standards. 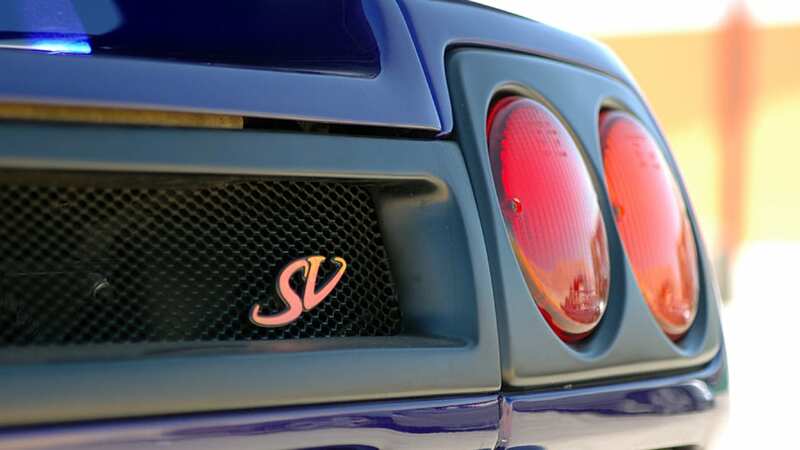 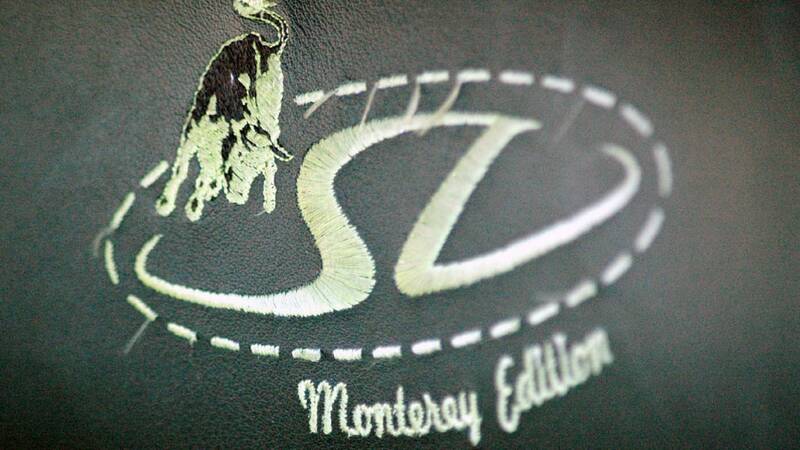 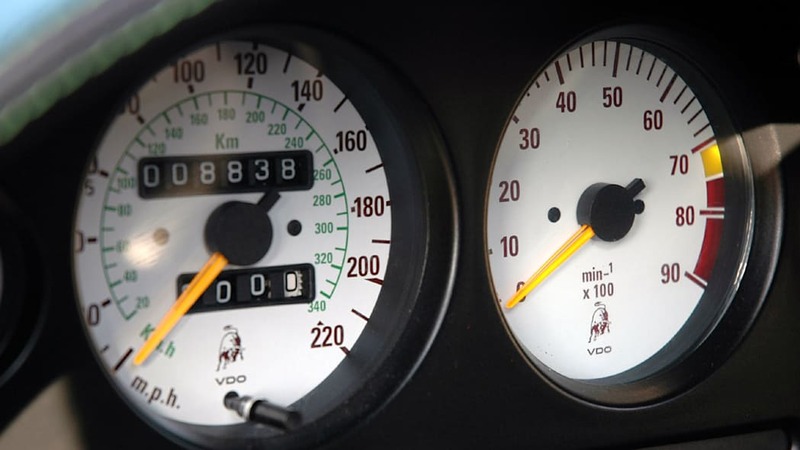 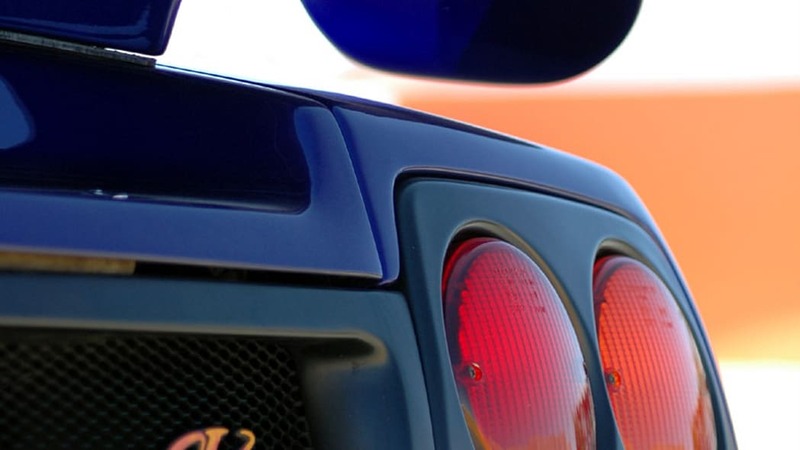 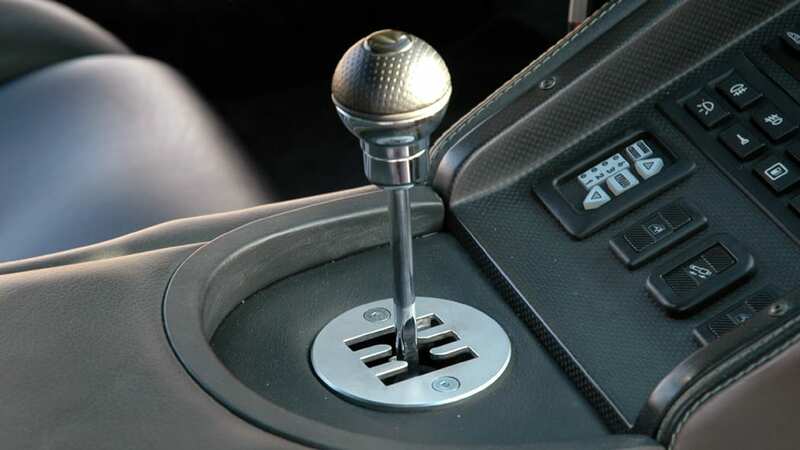 Various versions followed, including the SE30 in 1994, the all-wheel-drive VT, and the SV. 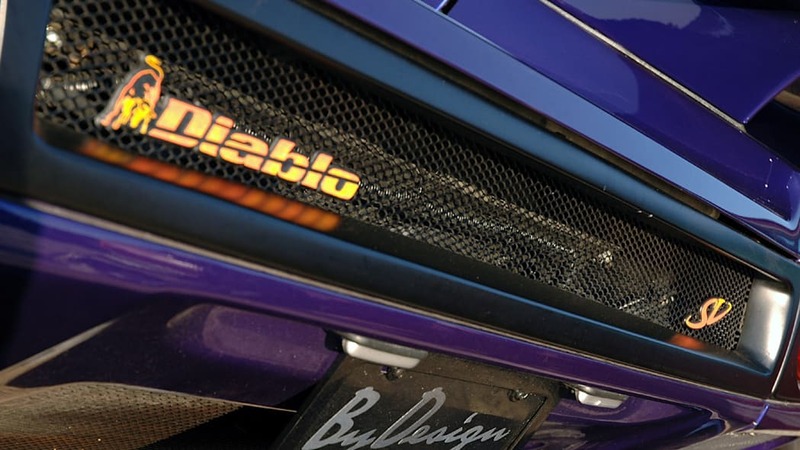 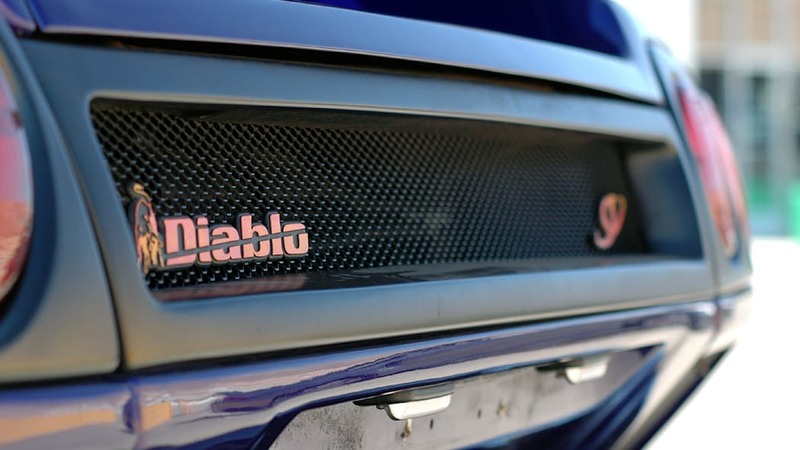 Of utmost rarity were a handful of twin-turbo Diablos that represented perhaps the ultimate expression of the supercar at the time. 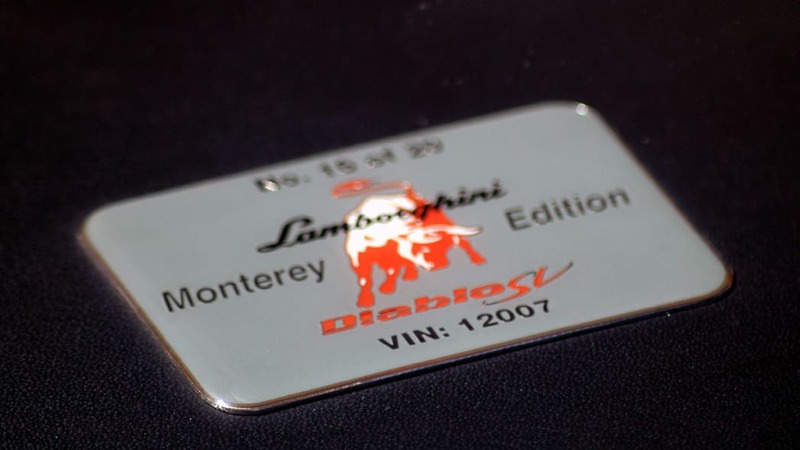 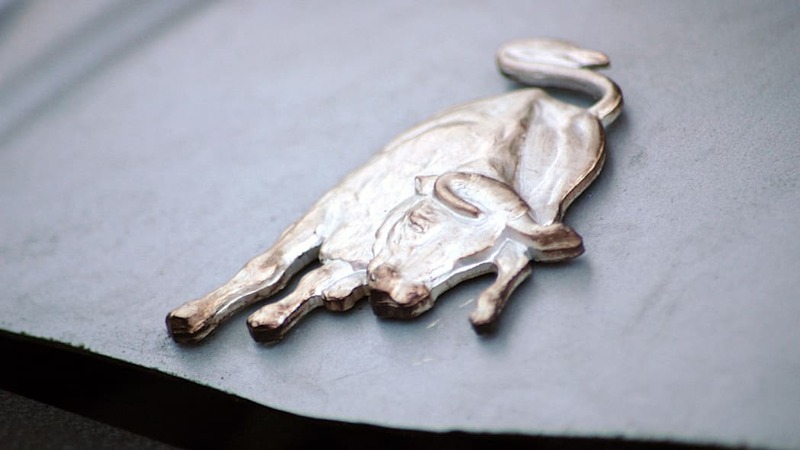 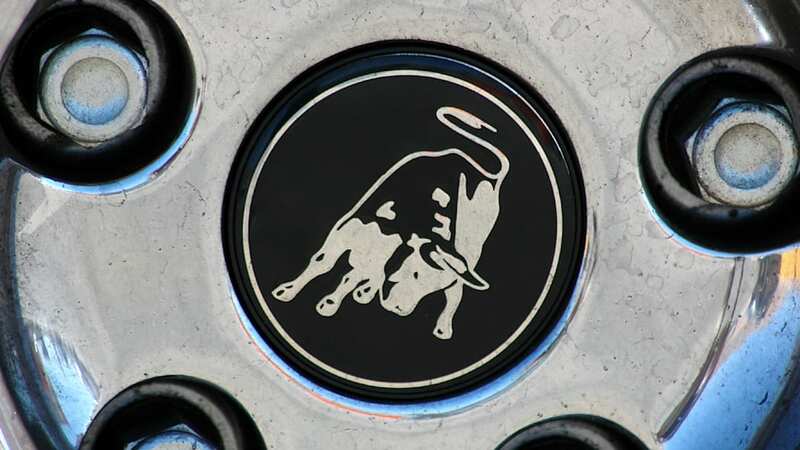 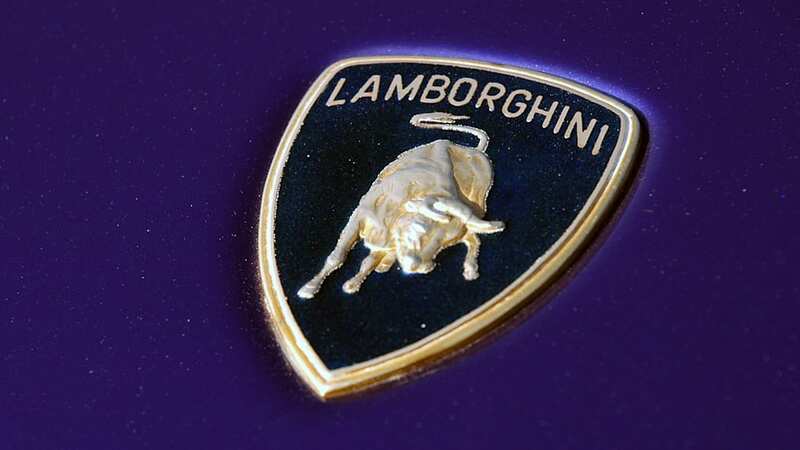 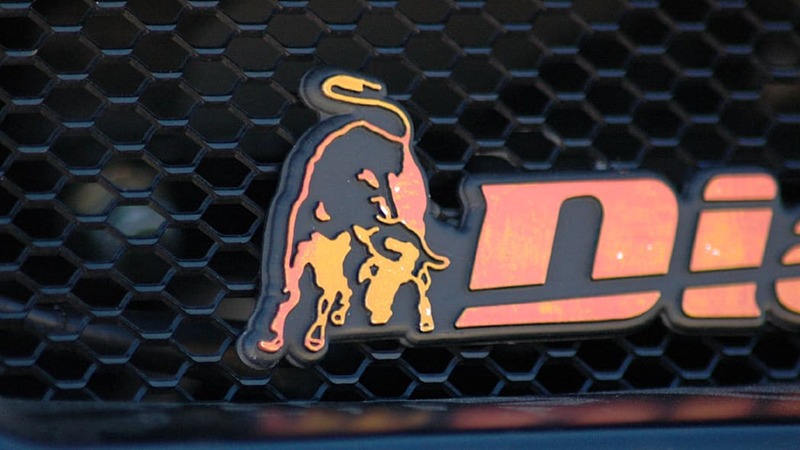 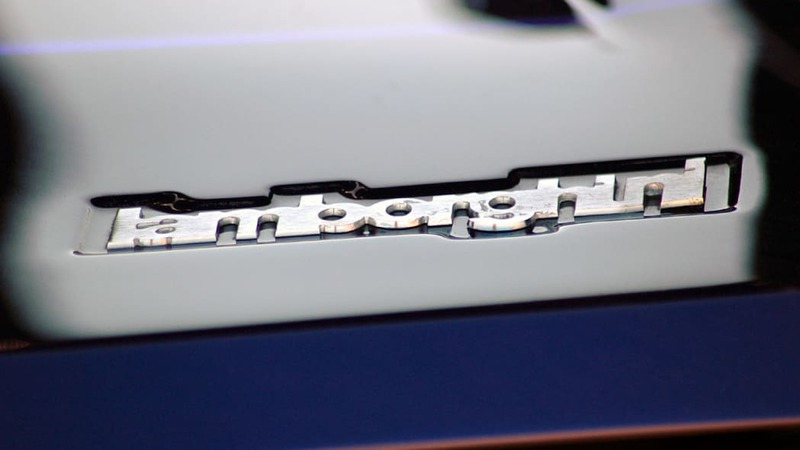 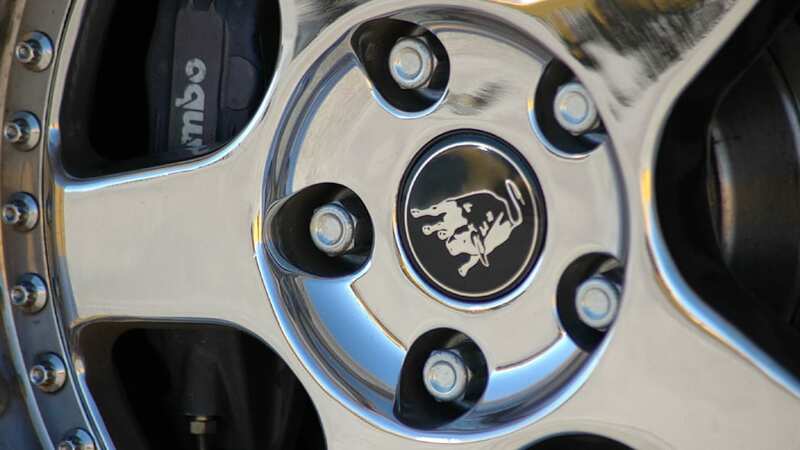 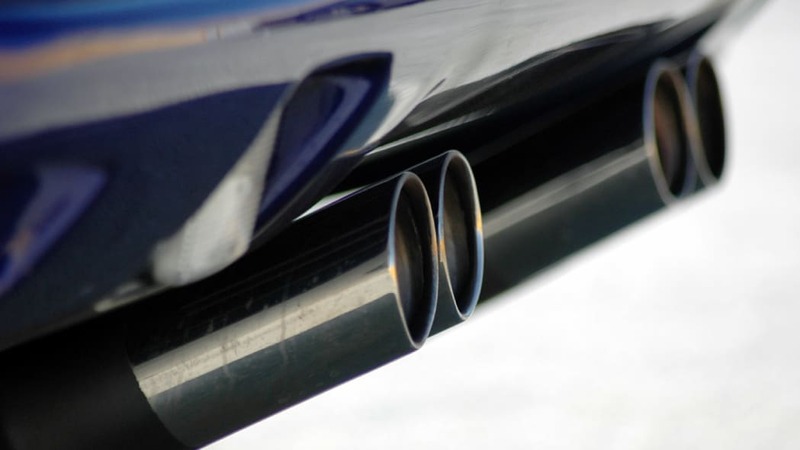 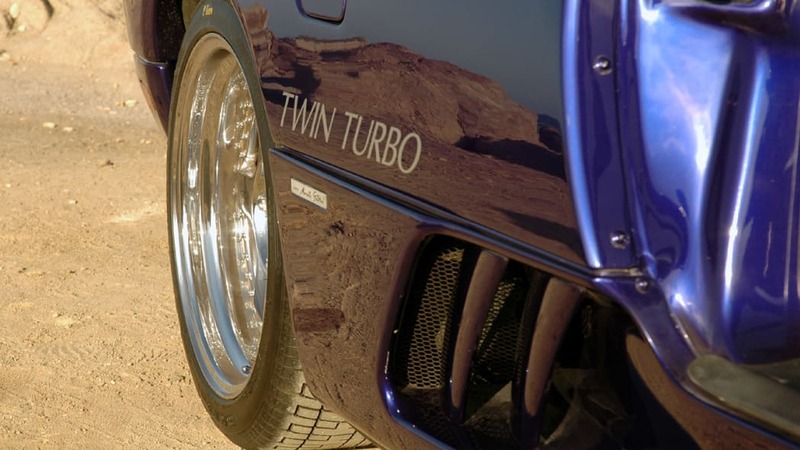 Commissioned by Platinum Motors, a Lamborghini dealership in Southern California, the twin-turbo package could actually be ordered as a factory option and was even listed in the NADA price guides. 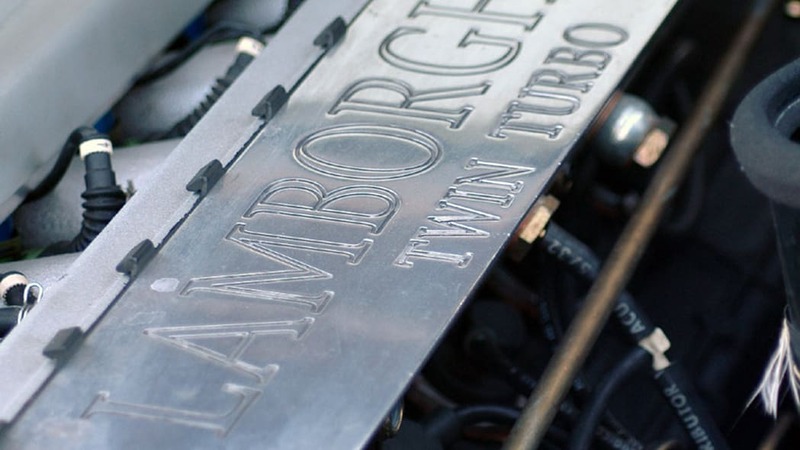 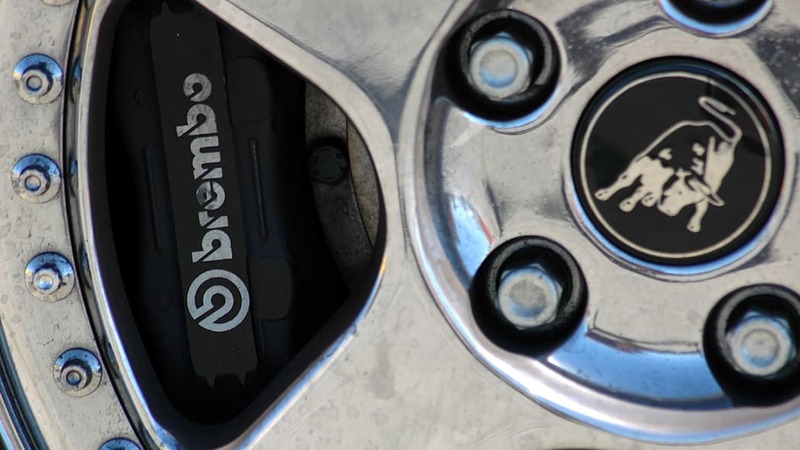 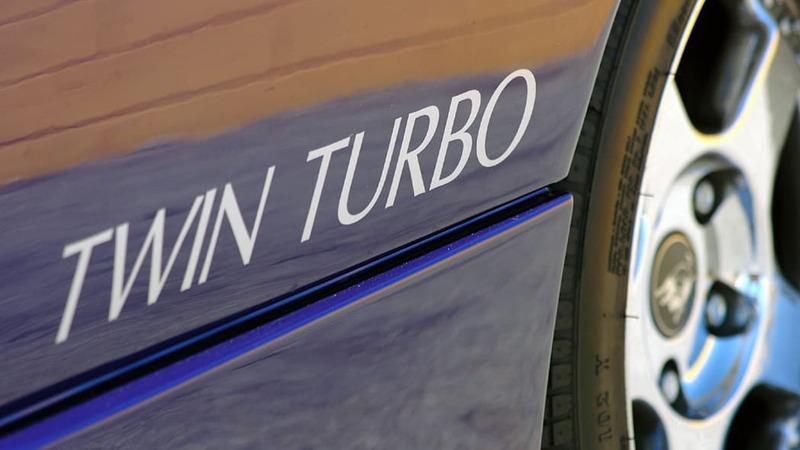 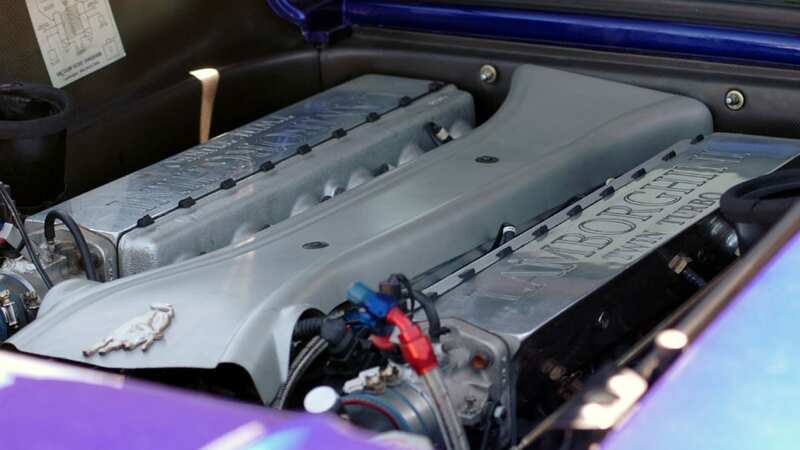 The twin-turbos provided up to nine pounds of boost to the V12, which reportedly produced 750 horsepower. 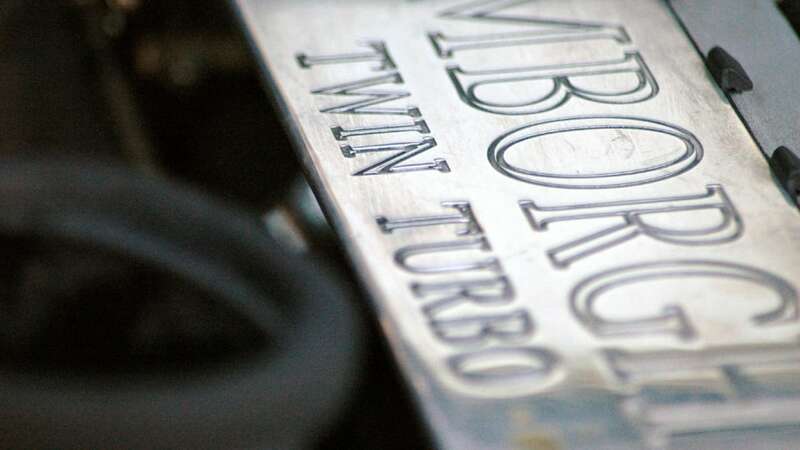 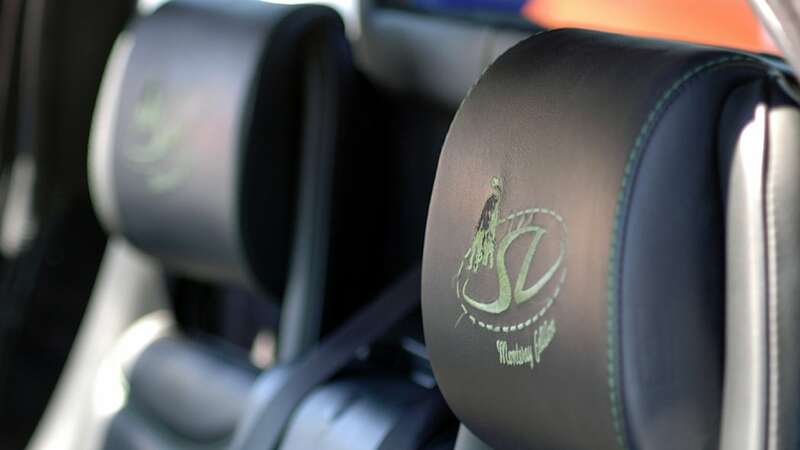 Less than a dozen were actually built – five VT's (named the VTTT) were initially constructed for customers, with an additional four owners converting their cars post-purchase. 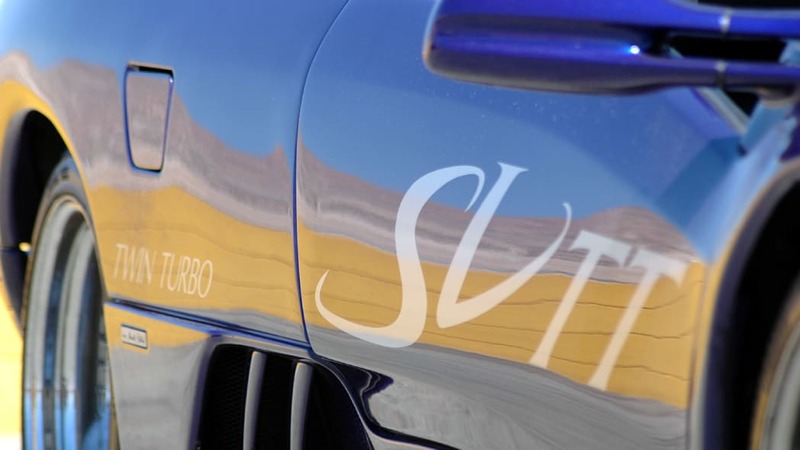 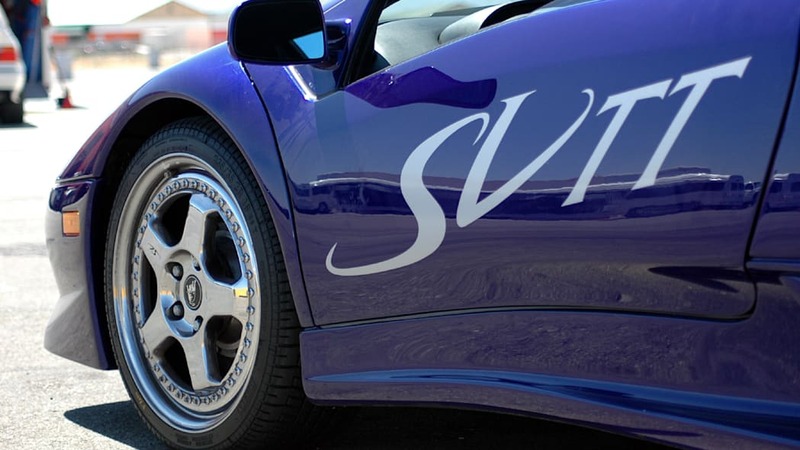 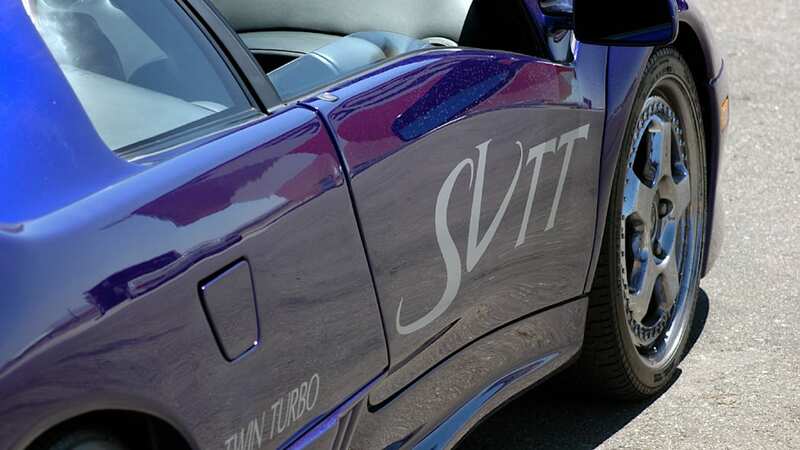 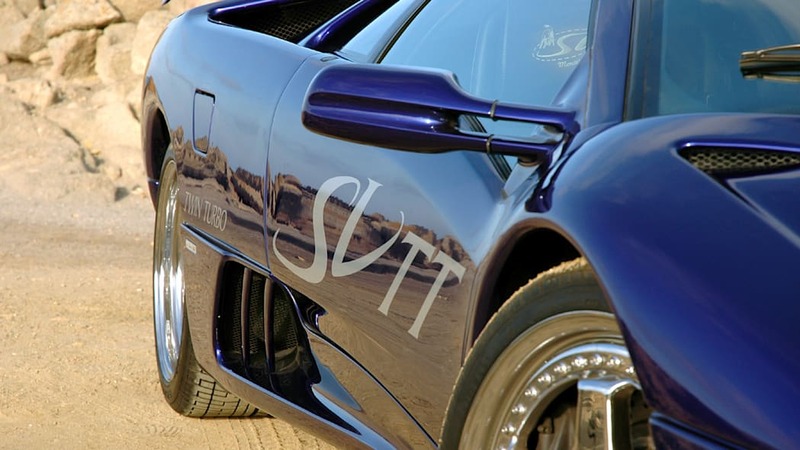 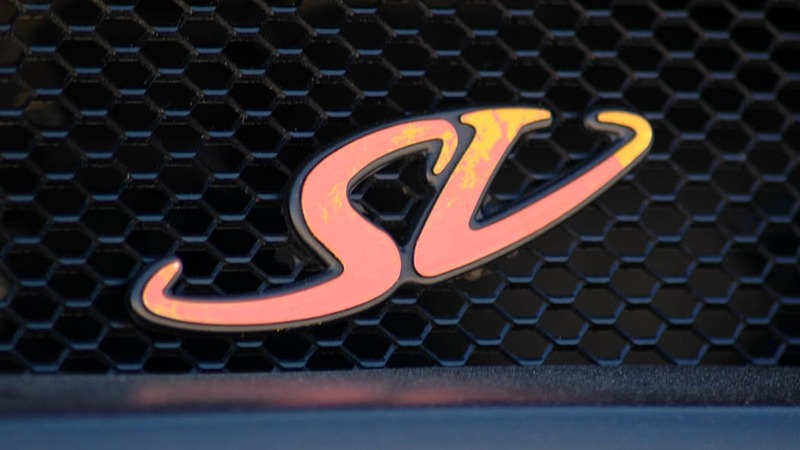 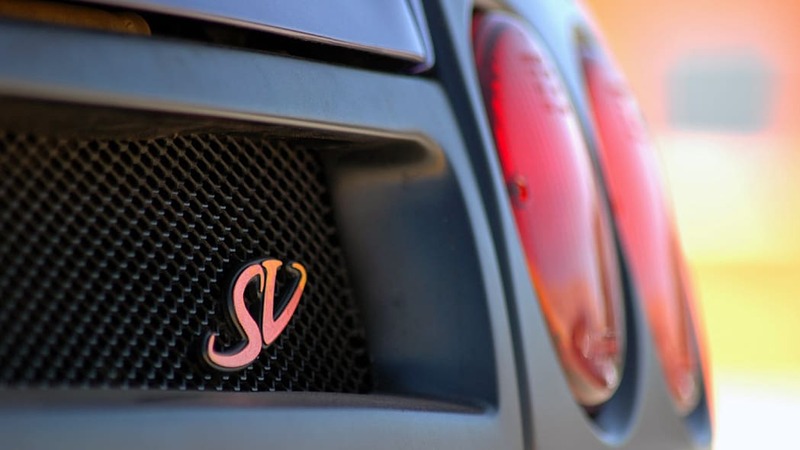 This car, the SVTT, was one of those four cars and was the only SV version built. 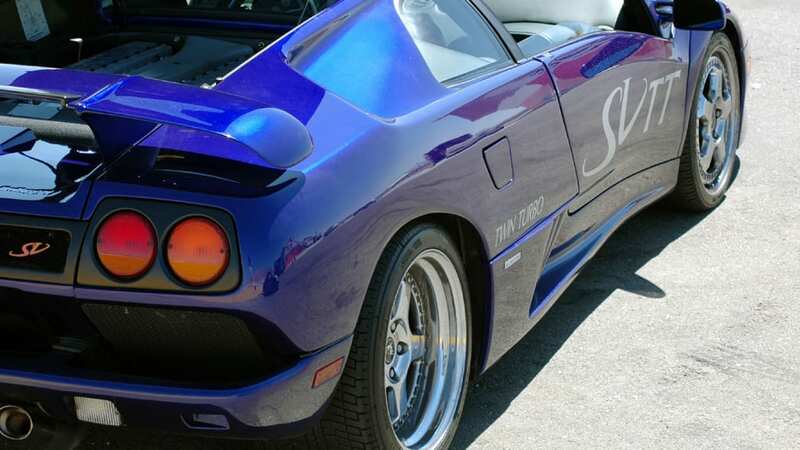 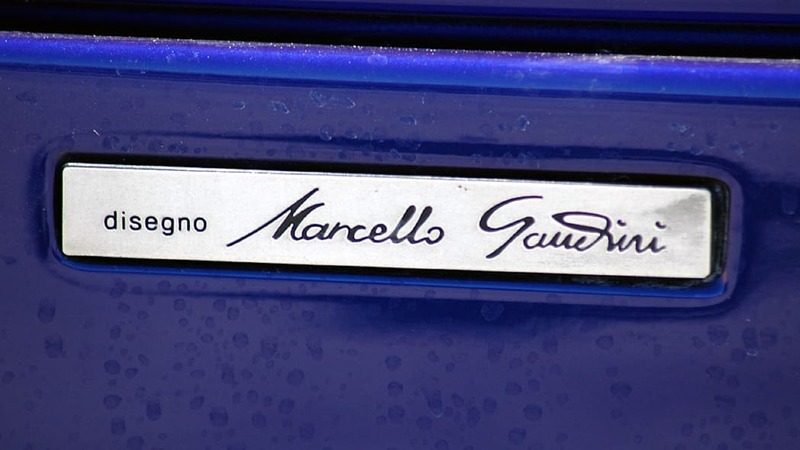 We've seen the car a handful of times, including the Concorso Italiano in 2004, but haven't come across it in a few years. 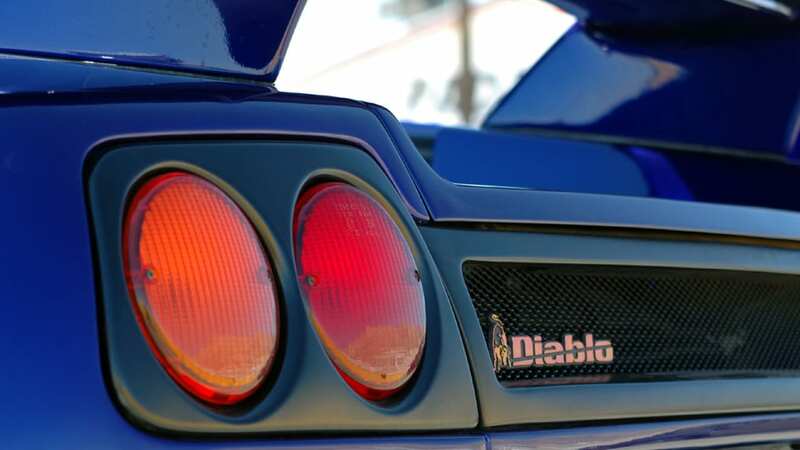 We've put all the photos we have in the gallery below, which are available in high-resolution for use as desktop wallpapers.